The NBA playoffs start in a few days, and as teams fight for the chance to hold up the Larry O’Brien trophy, it should provide countless great moments at the end of the 2018-19 season. Then comes the offseason, which might be one of the most important in league history as several high-level superstars can change teams as unrestricted free agents. Not everyone is a buyer on the free agent market, and we believe there are a few NBA teams that should completely blow it up and start from scratch. Take a look at five teams that may not necessarily be in rebuild mode yet, but should get the process started right away. It might seem weird for one of the best teams in the East to tear it all down, but there are several reasons it makes sense. Kawhi Leonard will almost surely be opting out of his deal to become an unrestricted free agent. Kyle Lowry isn’t getting any younger. Marc Gasol will probably walk at the end of this season. Those are all clear signs that the Raptors should rebuild and get the team younger as soon as possible. Dumping Lowry’s salary will be hard, as he is owed $33 million next season, but it isn’t impossible. With Leonard most likely headed to Los Angeles, freeing up that cap space could help the Raptors land younger free agents, or simply keep some of the cash for the 2020 class. 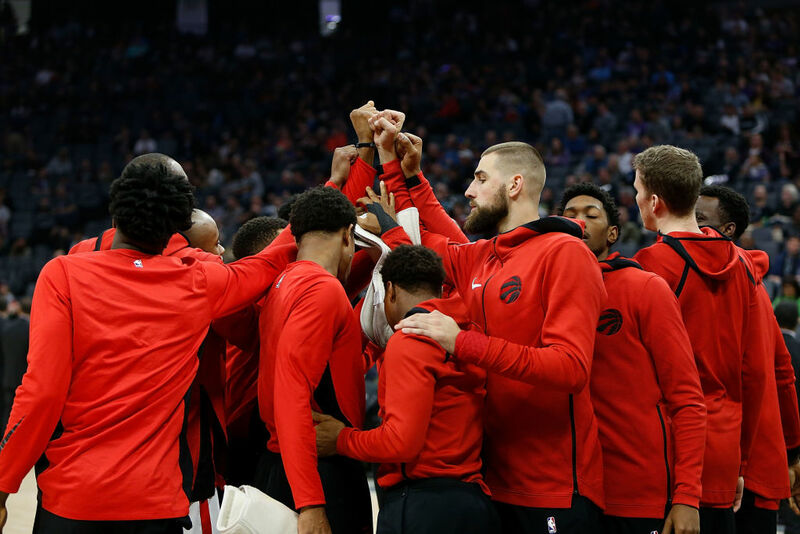 If the Raptors get bounced out of the playoffs before the Finals, it will be another failure to add to their postseason horror show of the last couple of years. The Nets are in a tricky spot. They can pay D’Angelo Russell max money, or let him go on the free agent market. Keeping Russell could lead to an opportunity to sign Kevin Durant, but if KD opts for the Knicks (which many speculate will happen), the Nets will be on the hook for a fringe All-Star who isn’t truly a max level player. Letting Russell walk is the right move, and allowing DeMarre Carroll to walk as an unrestricted free agent would free up nearly $15 million in cap space. Of course, it would also ruin the Nets’ competitiveness, which is why the front office has some tough choices to make. Brooklyn might be in the worst spot of any NBA teams choosing between a tear-down and a build-out. Not good enough to land a marquee free agent, but not bad enough to lock up a top lottery pick and land a generational talent. Would you consider us insane for suggesting the Trailblazers start over? It seems outlandish, but it might make sense. We have seen Damian Lillard and CJ McCollum routinely come up short in the postseason. Their first-round bout with the Warriors two seasons ago saw the team become a potential party crasher out West, but their sweep by the No. 6 seed Pelicans without DeMarcus Cousins was a wakeup call. Jusuf Nurkic going down with a broken leg will not help matters, as Portland could be looking at another first-round exit this year. With no timetable for Nurkic’s return, moving McCollum or Lillard would bring a hefty return. If the Knicks get the No. 1 pick, could it be used in a package to acquire Lillard? Karl-Anthony Townes is the face of the Timberwolves. How far can they go with a player who was publicly embarrassed during a team practice by Jimmy Butler? Since the infamous practice, Townes has played at an All-NBA level, but Minnesota is out of the playoff picture. Again. Townes shouldn’t be moved, but he also shouldn’t be the No. 1 option for your team either. Trading Andrew Wiggins would be the smart decision, as he is under 25 and still has a ceiling he hasn’t reached yet. Why shoot for a low lottery pick in a tough Western Conference when you can start over with one defining piece? 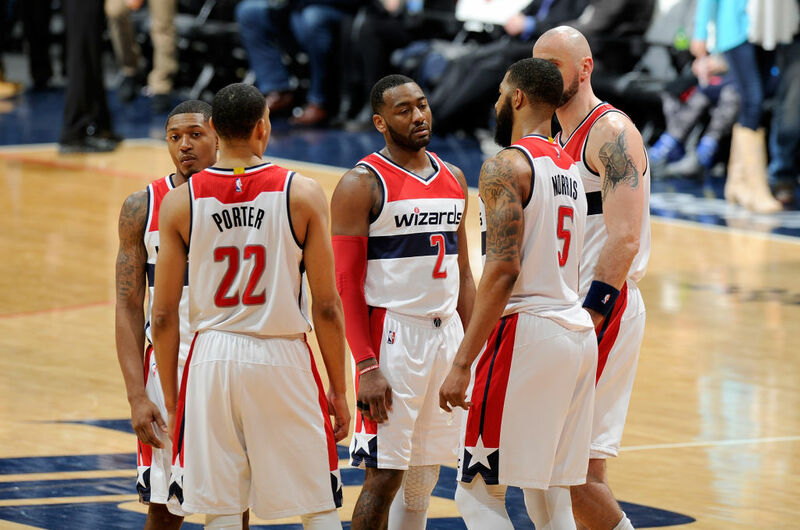 Among NBA teams, the Wizards are perennially middle of the road (or worse). If Washington is smart at all, it will trade as many players as possible in return for draft picks and young players. John Wall is recovering from surgery and is set to start his supermax deal, making over $40 million per season starting in 2019-20. Bradley Beal is a respected player, but he is also making $27 and $28 million, respectively, in 2019 and 2020. He is just 25 years old and is coming off of another All-Star appearance, but he isn’t a franchise-changing player. The best option would be to move both of them and start over from scratch. Who has the toughest rebuild project? Going over the NBA teams on our list who do you think will have the hardest time trading away some of their pieces? If not one of these teams, is there another one that needs to consider a massive rebuild as soon as possible?